To upgrade from Linux Mint 10 LXDE RC, simply apply any level 1 and 2 updates (if any) available in the Update Manager. 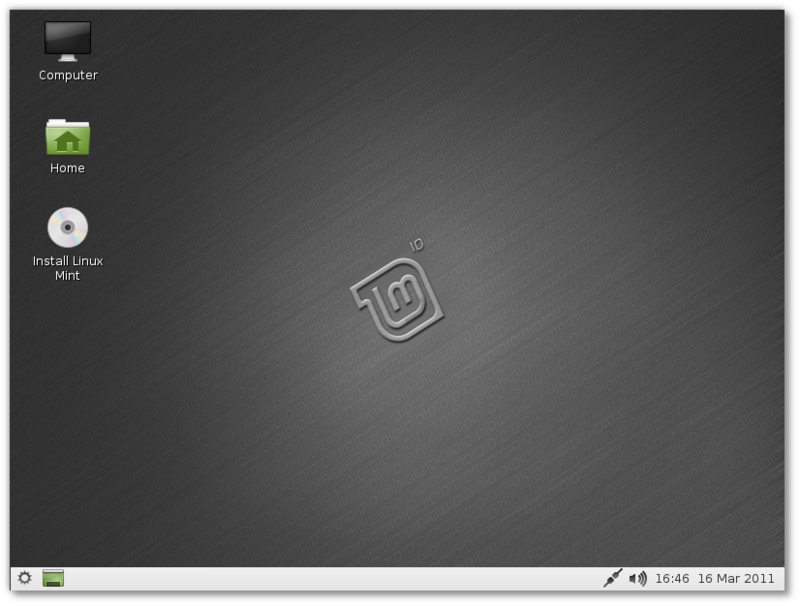 Next Next post: Linux Mint Xfce RC (201104) released! Sweet. I’ll have to try it out later, on my other computer. I have the main release 32-bit on there but I can always switch (this computer has the main release 64-bit on it.) Thanks to Kendall and everyone else involved, I’m sure it’s going to be great, the RC was really nice. Muy buena distro!, actualmente lo utilizo y me gusta mucho el tema Mint-X, muy recomendable! Yet another nice release by the team. Thanks, Kendall and all. Thanks for this guys. I’ve been using the GNOME version for a while as I wanted to use Mint 10 – now I may well have to give this a try as it’s the one I really wanted for my lowly old laptop. Gonna be downloading now, but gonna test it later since it’s 2:57 here in my place so..night! Thanks to all. This edition keeps my old EeePC cruising. 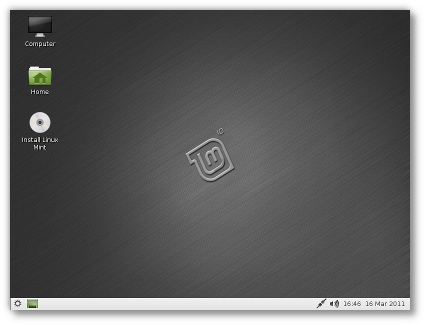 I suggest to release Linux mint 10 with XFCE 4.8 – It is light and fast. so I gave my teacher a copy of LMDE and another copy of Linux Mint 10 KDE. Linux Mint is the best, and with LXDE I can use it on my old laptop! Thnx! You rock! Does this flavour of mint, take better care of my battery status then the gnome edition? With mint 10.10 gnome edition, and KDE edition, the battery status indicator runs in crazy mode, telling charging when i’m not, and shutting down without previous notification that power is low. I love those lower system requirements. I have to test this on one of my older computers. Guys, where the proxy settings in LXDE? wish the lxde and kde releases were not such a long wait after official ubuntu releases but Good Job!! will test now! I just removed Lubuntu from my netbook and installed this, however I find it odd that there isn’t an option to auto login. I would normally spend some time to rectify it but this http://forums.linuxmint.com/viewtopic.php?f=90&t=66842 hasn’t worked for me so I’m going to remove it and try Xubuntu now instead. Don’t get me wrong I love Mint (I’ve been using the Gnome edition on my desktop for 2 years now) and I know I’m being impatient by not trying harder to fix this but I would have thought you could have implemented a simple autologin option and its little things like this that put the people off. Hi.. Now I’m using Linux Mint 9 Isadora and it’s very useful. I want upgrade to Linux Mint 10 like above, but my connection is very bad. So can you give me a Live CD or DVD for me, like I request Ubuntu from ShipIt? Excellent distro. Runs well on my old HP laptop. So far am very impressed. Would recommend it to anyone who wants to try out Mint on more basic equipment. I hate the fortune, the cow, the mensages…. Just try it out looks really nice. Which packages do I have to install on my LM10 with Gnome to have the full LXDE environment? LXDE est extra pour les vieux coucous comme le mien (pent.4,256 Mo, déjà 9 ans le gars…) ! en fait je tourne déjà avec Lubuntu mais je ne demande qu’à être convaincu ! wireless doesnt automatically connect, keyring has to be opened manually? The BEST Linux OS I ever tried (and I tried over 220). is full of bugs, even worse than Kubuntu 10.10, Mint 10 GNOME is good but not better than openSuse 11.2 or 11.3. And Linux Mint 10 LXDE, what a good surprise! Fast, stable, and reliable. Everything works, just works. That is all I ask for. Less is better. Thank you so much for for this little masterpiece. sudo apt-get remove lxde9 –> sudo apt-get install lxde 10. Haa.haa.. haa. Dont follow what i write down here.. I have many of the Mint operating systems, I think that my most favorite would have to be Mint 10 64 bit. The reason is because, I work with my laptop at school. I do lots of presentations and write up lots of Open Office documents. I think that Mint Linux is the only operating system feasible for all the work that I do. I see some of my other classmates using Windows XP and it takes them 20 minutes minimum to boot up and get started. Linux is the only way that I can do the best work possible. i want 64-bit version, please is the only distribution that works on my netbook. I don’t think think the Linuxmint can provide this. Still CD, DVD and USB-memory is sold cheap at pages listed at http://www.linuxmint.com/partners.php I think OSDisc is cheapest but look for yourself, also when I contacted them about a missing ditro. before they added it very fast. Love the looks and efficiency of LXDE LM, did an install through windows. Install Linux Mint CD icon always appears, even though LM already installed. Changes made to FF, and installing the Additional Drivers, works for the session but when I restart or reboot into LM I am back to where I started… LM requests that I install Additional drivers (the same one) and the Inst. LM CD icon is still there. If I install LM after it is installed!, by clicking the Inst. LM CD icon (no cd in tray) then it goes through a quick install and seems to take any changes. Runs perfectly in vmware fusion on my mac – thanks so much! Hopefully something in there will be helpful. Tried fedora 15 today and gnome 3 is just unbelievable it is total game changer i used kde previously now their is no going back and the famous mint menu their is no requirement for it now it is obselete. I have just downloaded and installed this OS. Nice. This combines comfortability of Windows and power of Linux. But Ubuntu is also comfortable. Acer Aspire One ZG-5. Intel Atom 1.6 8gb SSD. 512mb ram. Linpus? – Atheros never worked, not even out of the box turning on for the first time. HOW DID ACER EVER SELL A PRODUCT THAT DIDN’T WORK? Ubuntu Desktop 10.10? – worked well but getting slower and slower. GREAT on 1gb RAM or desktop. Linux Mint LXDE? – Problems solved – even usb wi-fi works out the box and the little netbook zips along. Installed this edition on a machine with an 800MHz Duron (Spitfire) processor, 512MB RAM, and a 20GB hard disk and it runs beautifully. It plays DivX encoded movies smoothly that were slideshow-like in Windows XP – very, very nice! masterpiece! Please don’t move LXDE Edition to the Debian/Testing base. Wow, gret release. Everything works good on my laptop. Keep the hard working. Cheer! rather good, but there are many little stupid things such as there is no autologin(even editing config files doesn’t work properly), in MC doesn’t work hotkeys, layout switch always on alt+shift and without changing( except that you need edit autostart file with setxkbmap. but as i know it is lxde way or something else). Mint V 10 64bit is extra good and I am very pleased with the professional good looks, the new logo is much better with the mirror edge. Well done team!